The last two months have been pretty crazy. While we were accross the world snorkelling and observing wildlife, our amazing broker was busy prepping and showing our condo, and we came home to a few offers. We then started the stressful process of looking for a new home, and were lucky enough to find our dream house within a few weeks. We are finally closing on the condo this week, and soon on the house. Now is actually the hardest part, waiting. Waiting to move into our dream house, start some work, paint, and furniture shop. I've been obssessively reading design blogs, spending hours on Pinterest, and wishing that all the paperwork, the wait, the first few renovations were done so we could actually start decorating. I'm really excited to share with you the transformations, but in the meantime, I've mostly been distracted and unfocused, and haven't really been making much. 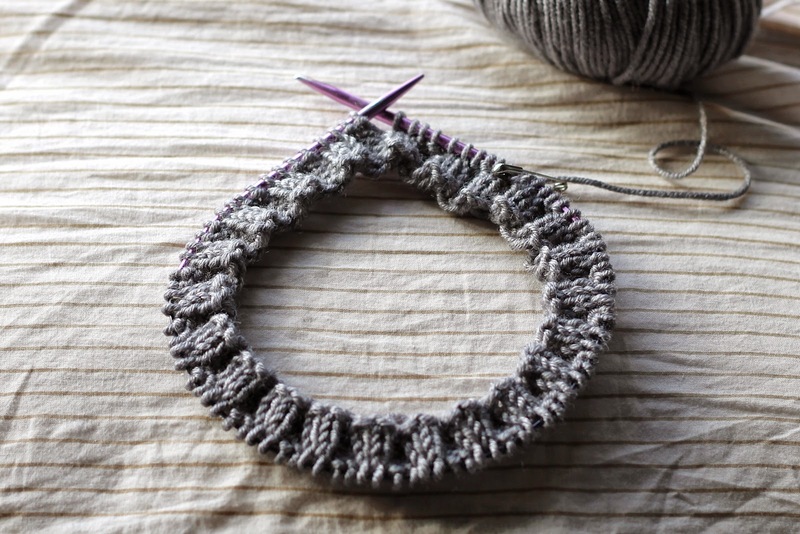 Truth be told, I haven't even knitted much, but rather I've been looking things up and starting a few projects (socks, shawl) without really committing and without much progress. 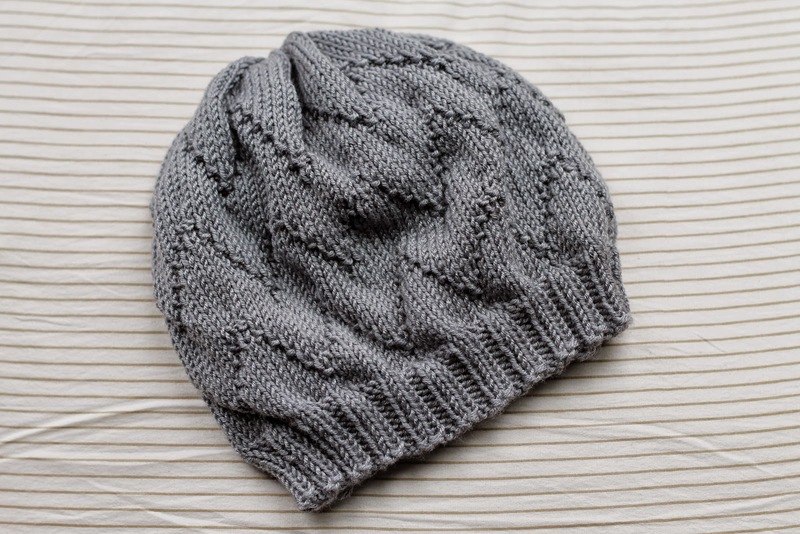 The one project that I did complete recently though is the Audrey hat, part of the Audrey Collection designed by Jessie Roselyn for Tolt Yarn and Wool. I had been wanting to join a KAL (Knit ALong) for a long time, and the first Fringe Hatalong seemed like the perfect way to start. While I really wanted to purchase this lovely yarn for the occasion, I convinced myself that the reasonable thing to do would be to choose something from my stash instead, and opted for some leftover Wool Bam Boo that I still had, a lovely mix of wool and bamboo with great stitch definition, unfortunately discontinued. 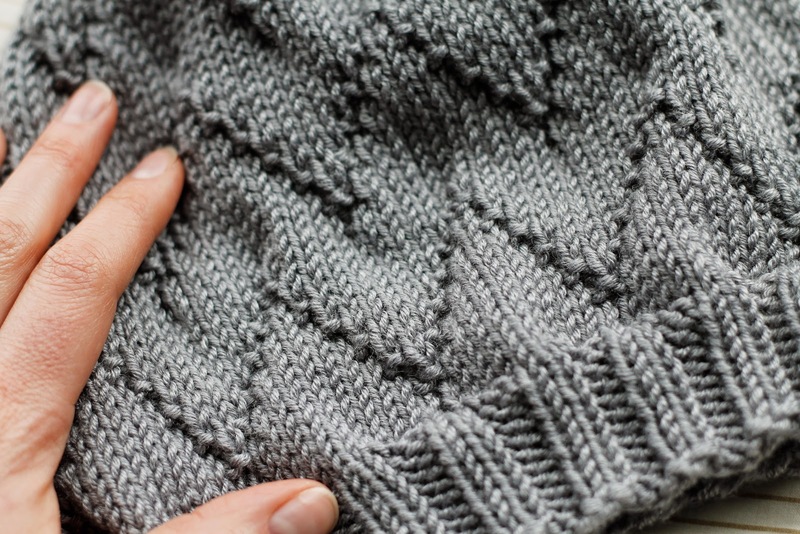 I love the simple design of the hat, and when I finished it, I couldn't stop thinking of my beautiful friend Sara. It seemed perfect for her, and just happened to be her birthday, so it couldn't have worked out any better.